The futures of many of the Seahawks' core players are in question. Earl Thomas and Michael Bennett admitted as much. Jimmy Graham was nowhere to be found. While Michael Bennett dressed quickly and was one of the first players to leave the locker room, exiting shortly after speaking to media members, Earl Thomas sat at his locker at CenturyLink Field, wrapped in a towel, checking his phone and then starring blankly ahead. 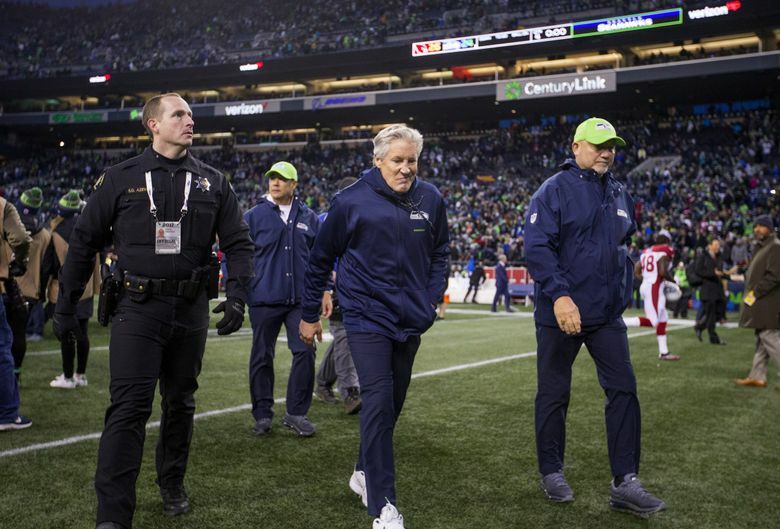 He seemed unwilling to believe the 2017 season had ended without a spot in the postseason after the Seahawks lost 26-24 Sunday to the Cardinals. And Jimmy Graham? Well, he was never around after the game, just like every game this season. Was it the last time that one or two or all three of them would wear a Seahawks uniform? For any team, after a season that would be construed as a failure for Seattle, changes to personnel are expected. 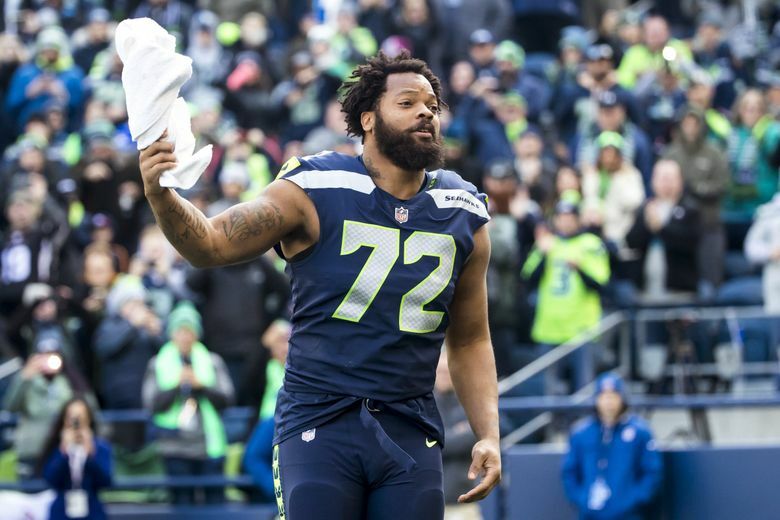 But for the Seahawks and a defense that is highly paid and getting older, the prospect of cutting Bennett, who has three years remaining on his contract, or trading Thomas, if they don’t believe he’ll re-sign, isn’t an impossibility. Graham, who is an unrestricted free agent, likely will use the open market to find a new home. Bennett, 32, is owed more than $27 million over the next three years. He had 8½ sacks this season while playing through a nagging foot injury and some knee discomfort. Admittedly, Bennett is uncertain of his future. He knows that being cut is certainly a possibility if not an expectation. Asked about it, Thomas said, “The biggest thing when I say ‘Come get me,’ is I don’t literally mean ‘Come get me now,’ you know? I’m still in the prime of my career — I still want to be (in Seattle). 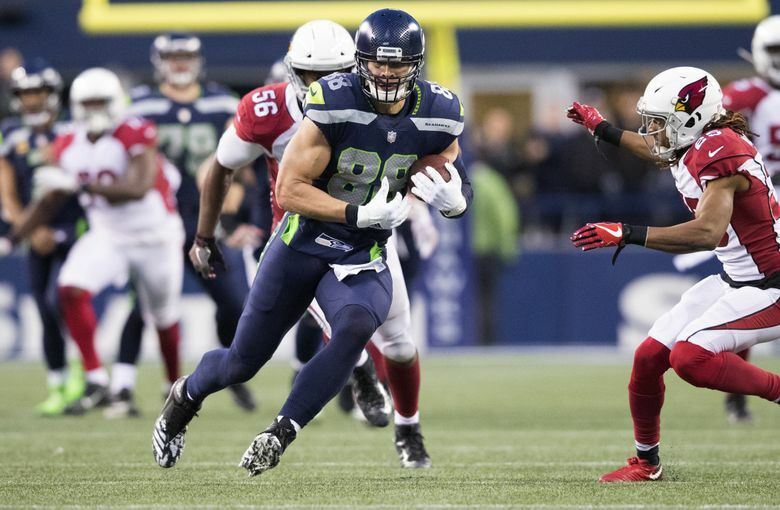 The question of whether Seattle will sign the 28-year-old Thomas to an extension looms. The Seahawks typically sign players to extensions before the final year of their contracts. The expectation is that Thomas will want to be paid more per year than Chiefs safety Eric Berry, who signed a six-year, $78 million contract. If the Seahawks don’t think they can sign Thomas to an extension or do not want to make that massive investment in a player who is still very talented and productive, but has dealt with nagging injuries the past few seasons, they wouldn’t “kick him to the curb” but trade him for draft choices. Sunday, Thomas was asked whether he would be back with the Seahawks next season. But the futures of Bennett and Thomas with Seahawks aren’t the only ones in steeped in uncertainty. Carroll and Schneider could decide to make other changes as well.